We are shocked and sorry to share the sad news of the death of our club member David Richardson on 21st June, aged just 52. Dave was such an enthusiastic athlete who thoroughly enjoyed his training to improve himself for all levels of competition including South West League and British Masters Championships where he was eager to learn from his fellow competitors and to then pass on his knowledge to others. He was passionate about athletics, was fun to be around and was a lovely man. 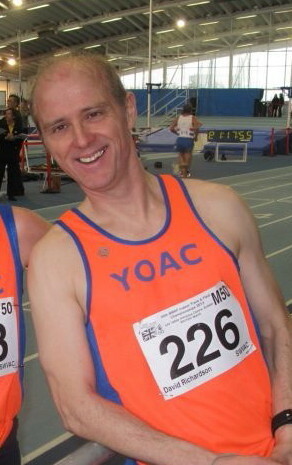 He will be very much missed at YOAC. Our sympathies extend to his partner, Denise, and his family.